Welcome to the February issue! Ever wondered how you can transfer old vinyl recordings to CD and eliminate all the clicks, pops and other noise at the same time? I found a great service that helps you do just that and I’ll tell you all about it this month. Plus, news about our Webinar recordings and Family Legacy Video’s latest award! Another award for Family Legacy Video®! Steve Pender, president of Family Legacy Video, Inc. has received a Gold Award from the 2015 AVA Digital Awards competition. Pender was honored for “An Aloha Spirit,” a video biography highlighting the life, career, and philosophy of a recent client from Hawaii. 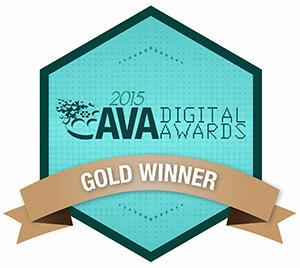 The AVA Digital Awards is sponsored and judged by the Association of Marketing and Communication Professionals (AMCP). The awards recognize outstanding achievement by creative professionals involved in the concept, direction, design and production of media. There were about 2,100 entries from throughout the United States, Canada and several other countries in the 2015 competition. The international organization consists of several thousand production, marketing, communication, advertising, public relations, and freelance professionals. “New & Improved” Webinars are now available. 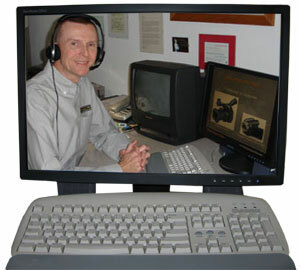 Until last year, links to the streaming recordings of the Webinars had been available for purchase. But, due to the rising cost of hosting the recordings and the need to “freshen up” some information after five years, plus the lower-than-desired quality of the audio portion of the sessions, the streaming recordings were taken off the market near the end of 2014. Thanks to continued demand, however, the Webinar recordings now have a second life. Updates to information, where needed, have been made. The audio, while still not pristine, has been greatly improved. And the recordings are now available as MP4 files designed to play on computers. The sessions will now be distributed on DVDs. To learn more, visit Family Legacy Video’s Webinar page. Family Legacy Video gives King Tet’s Record Rescuers two thumbs up. About five years ago I purchased a USB turntable in order to transfer some of my wife’s cherished childhood records to CD. One of those records was an old 78 RPM recording from the early 1900s. The other was a 45 RPM disc from the 1950s. Was I able to transfer the recordings? Well, yes. But they were noisy as heck. Quite honestly, they were unlistenable. And no matter what I tried with the software I had available, I couldn’t clean them up. Fast forward to this past Christmas. I vowed to try again. But I’m a video guy, so I thought this time I’d search for a company experienced in vinyl to digital audio transfers. The Internet led me to Eric Van der Wyk. Eric is based in San Diego and runs a variety of companies under the King Tet Productions umbrella. Three of those companies focus on transferring audio from old media to audio cds: Record Rescuers, Custom Audio CDs, and ReelToReelToCD.com. His prices were pretty reasonable, so I decided to give him a try. A week after trusting Halina’s records to the mail, I got them back, along with a CD. With fingers firmly crossed, I popped the disc into my CD player. To my amazement, the songs that emanated from my speakers were crystal-clear and noise-free. At that moment I decided that Erik would be my “go-to guy” for any other jobs like this. So if you’d like to resurrect your old records, give Record Rescuers a try. I think you’ll be glad you did.